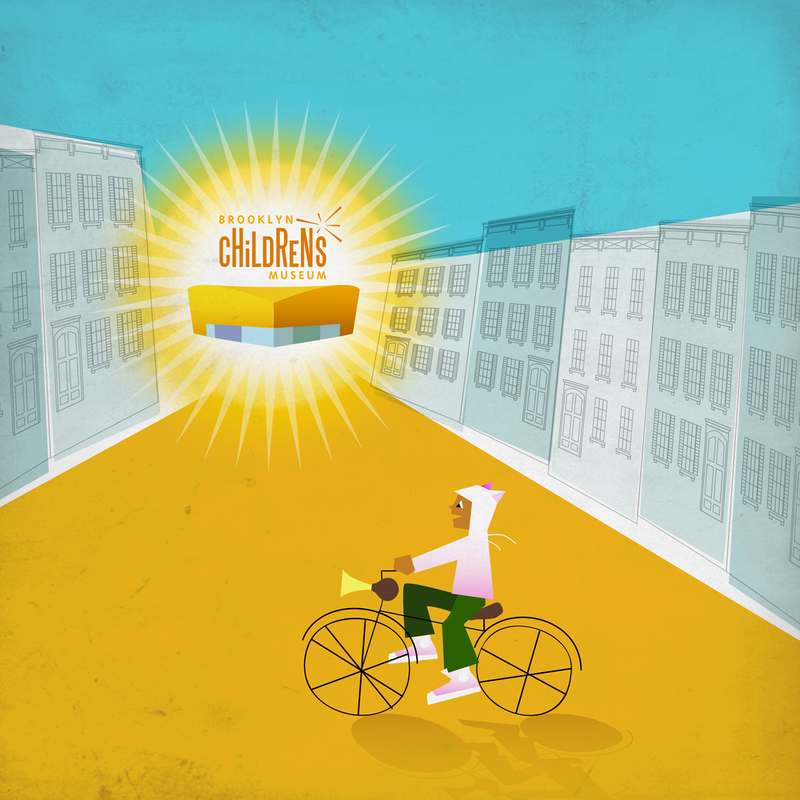 Brooklyn Children's Museum came to Chop Shop Studio (formerly The Chopping Block) with a specific goal: Make a brand-new site that reflects the modernized and expanded museum designed by the world renowned Rafael Viñoly Architects group. The site, like their new home has been greatly expanded since the original site which was also built by The Chopping Block in 2000. It now reflects all the new offerings the museum now boasts. Project comes complete with a client-ready content management system also designed and developed by The Chopping Block. 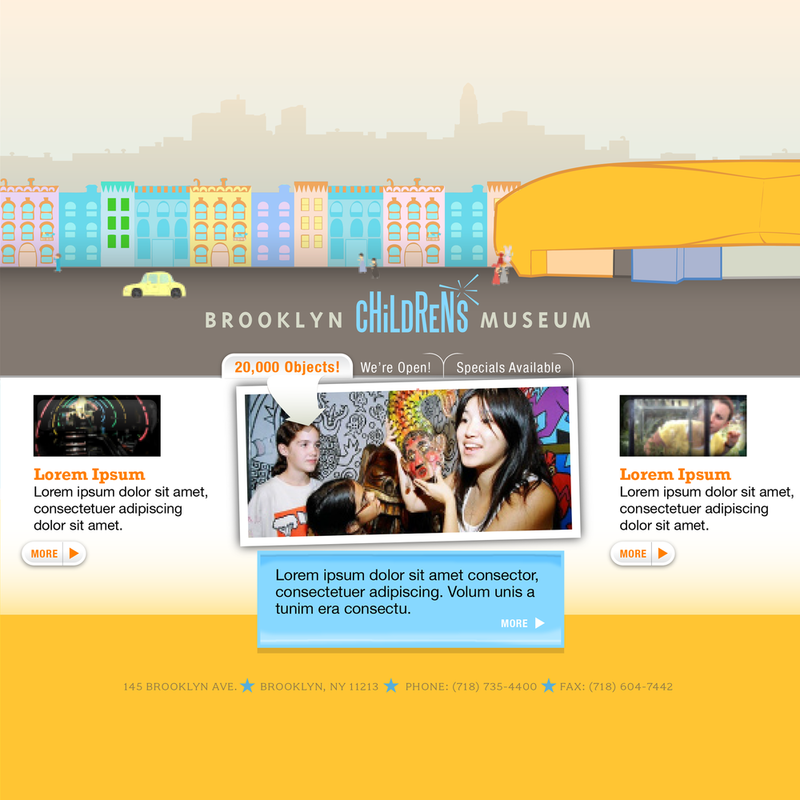 The landing page for Brooklyn Children’s Museum animated various children and vehicles passing by. In the distance the foot traffic would enter and leave the museum. An example of a content page with the interior navigation. Many concepts were presented for BCM 2.0. Here are a few of our concept boards. Lower right was selected.. The studio (then Chopping Block) was hired twice by BCM. This earlier version of the site utilized mostly basic HTML. BCM 1.0 designed by Chopping Block.